Salzburg has been an overwhelming experience – full and rich and so much to take in. So much, in fact, that I have wondered how I would tease it all out and write about my time there. I thought I might go by themes such as culture, history and food, but in the end I am a pretty linear person and will just take it day by day. 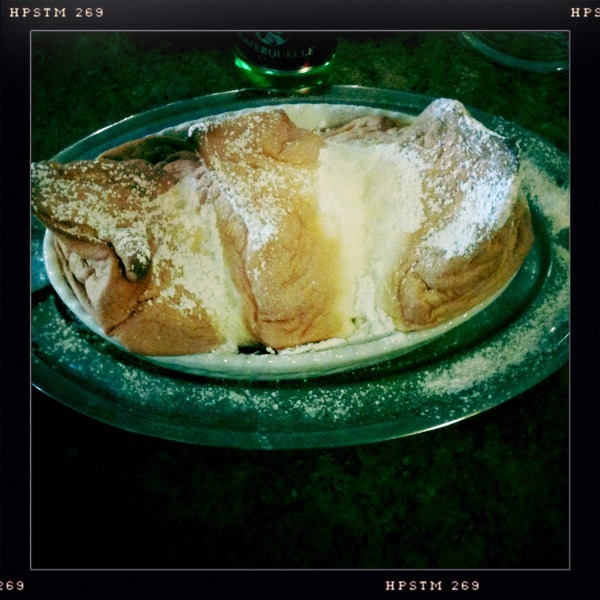 So this week I’ll share with you each day as its own little travelogue, but tonight I am weary in a (mostly) good way, so I’ll focus on one tasty little tidbit: the Salzburger Nockerl. 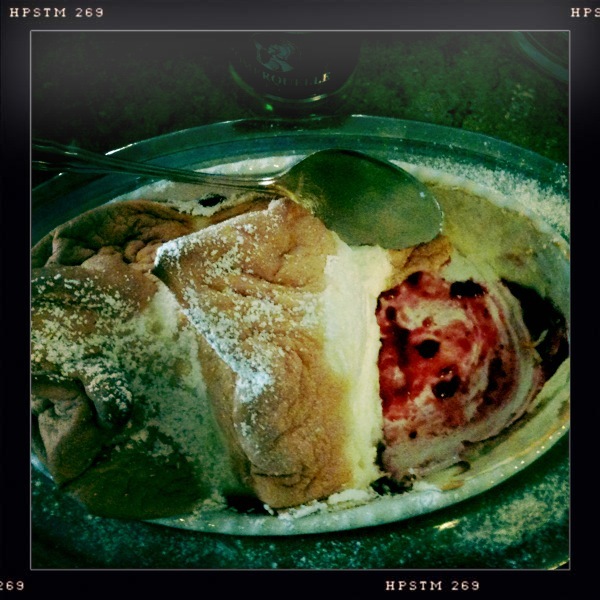 There are two sweet delicacies for which Salzburg is famous – the Mozartkugel, a cute little round chocolate (“Mozart’s balls were first dipped in chocolate in 1890” I read in one guidebook, I kid you not) and the Salzburger Nockerl, a large, airy, sweet soufflé that can be found in most restaurants in the city. Served in a large creme brulée dish, it has three big peaks, symbolizing the three mountains that surround the city (Mönchberg, Rainberg, and Kapuzinerberg) and is designed for two to share. I eyed this monster for two days, looked up the recipe on the internet (hm, only 1 tablespoon of flour for four servings…maybe…), hemmed and hawed, and finally today I just decided to go for it. I’d already had a ton of sugar anyway, so why not top it off? And so what if I ended up with a stomachache afterward from the flour – would it not be worth it to have this singular experience? When I bellied up at the inevitable Café Mozart (just down the street from his birthplace) and was told that “of course” the chef could make the nockerl without wheat, I was all in. After a salad to whet my appetite, the dish arrived, and I dug in. 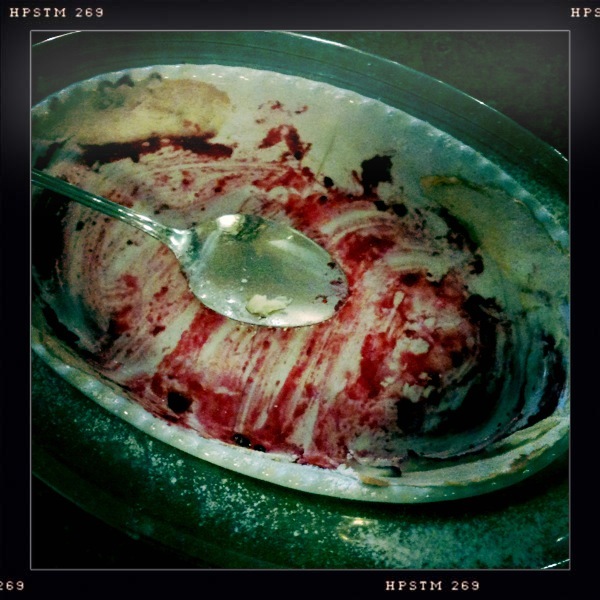 And it was effing delicious.
. . . and that was effen funny. I just wanna know how that DID make it Gluten-Free?? ‘Cause, YUM!!! Martha: It’s basically a meringue, so whipped egg whites and sugar. They usually add a little bit of wheat flour, but they said they could omit it for me!